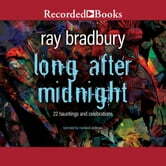 Two drifters caught in the backwash of space wander from city to dead city, sifting the rubble for the fabled Blue Bottle of Mars-and find in it two different, equally entrancing, dooms... A young boy in Green Town, Illinois, does not marry-yet marries-his beloved eighth-grade teacher... In the hell of a Manhattan July night, Will Morgan is offered a possibly Mephistophelean proposal by which he might gain a perfect love and a magical immunity... A jealous husband who orders an exact replica of his unfaithful wife from an android manufacturing company (purpose: murder) runs afoul of the compassionate new "live robot" law... At forty-eight, seized with an overwhelming desire to settle an old score, a man journeys back into the past under the spell of his "utterly perfect, incredibly delightful idea," only to recoil in stunned disbelief when he confronts, at last, his former tormentor... Bradbury's imaginative field is boundless. In this book, his stories carry us from the cozy familiarity of the small-town America we lived in in Dandelion Wine to the frozen desert and double moon that have been part of our interior landscape since The Martian Chronicles. His characters range from the "ordinary"-a rookie cop, an unhappy wife on vacation in Mexico, an old parish priest hearing confession-to the quite extraordinary: the parrot to whom Ernest Hemingway confided the plot of his last, greatest, never-put-down-on-paper novel, and a woman who, in New York City in the summer of 1974, hangs out a sign reading "Melissa Toad, Witch." 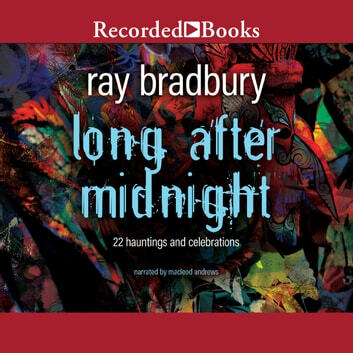 Fantastic or conventional, chillingly suspenseful or hauntingly nostalgic, each of these stories has that aura of the unexpected combined with the special ring of absolute rightness that is brilliantly, uniquely Bradbury.